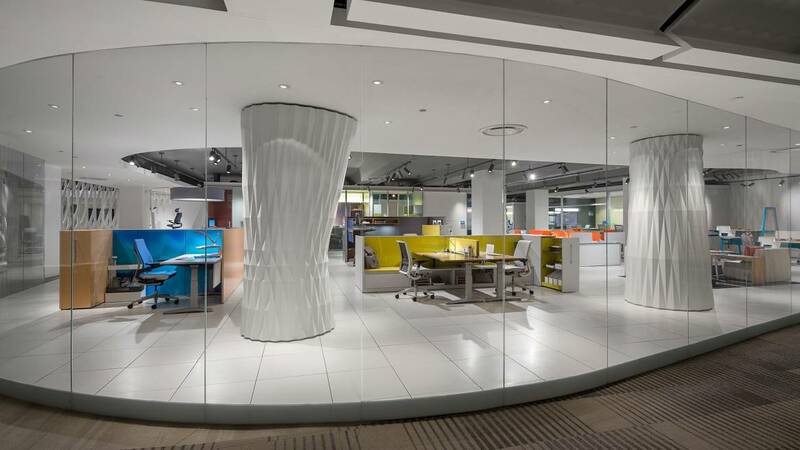 Steelcase WorkLife Centers are designed to illustrate how space can amplify the performance of individuals, teams and enterprises. Our WorkLife Centers are designed to show how we can create inspiring holistic workplaces. For individual product inquiries please contact our dealers. The best workplaces help people engage deeply by giving them what they want most, incorporating a palette of place that supports a range of postures, presence and privacy. WorkLife Centers include settings for individuals and groups; some are owned, others are shared, and they can exist in open or closed environments. This ecosystem of interconnected and interdependent spaces is designed to support the physical, cognitive and emotional wellbeing of workers. Ultimately, they are designed to illustrate how space can amplify the performance of individuals, teams and enterprises. We refer to that as the power of place. To arrange a visit for your company, please call 001.312.321.3720. We look forward to hosting you.